The Highlander's Tempestuous Bride: Book 3 in The Highlander's Bride series - Kindle edition by Cathy MacRae. Romance Kindle eBooks @ Amazon.com. Returning home after a ten-year absence, Ryan Macraig falls for a fiery, red-haired lass from the wrong side of the firth. He can’t ignore his need to see her again, even knowing she must be a hated Macrory. Gilda Macrory trespasses Macraig land, but haunting memories of the young man she once met there draw her to the forbidden place. Learning he is Laird Macraig’s son threatens her dreams, for her father would never agree to a marriage between his daughter and their enemy’s son. 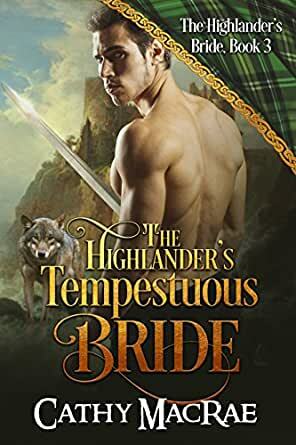 PLEASE NOTE: The Highlander&apos;s Tempestuous Bride ebook has a new cover!! This is NOT a new book!!! This is a good read ! But it just dragged on and on after the hero disappeared. The heroine was very immature, it was not so annoying when she was just 16 years of age, but became annoying she she was a year and a half older. She cried and almost fainted every time she was overwhelmed, which was very annoying as well. I did not like the way their reunion came about, I expected a tearful reunion where the h/h ran into each other's arms when they saw each other, but no, the lack of communication between them was immediate and disappointing to the extreme. I would recommend this read though. After reading book 2, Guilda had become one of my favorite characters. Imagine my surprise when I realized that book 3 was to be her story! I really didn't want to put this one down until I had finished. Naturally, it was a true love story..... leaving me hoping for Conner to find what he was searching for. But that is book 4, included in the latest Anthology I just purchased. I think you will really miss out on a great series if you miss this one! Try fall in love young but we're from clans who tho not at war were not aligned either. Then gravitated came and he was captured and spent a year as their prisoner. This a tale about befell her an him in that year and it's full of intrigue, suspense, adventure. A must read. Enjoy! It was good to revisit Ranald and Ree from book 2. 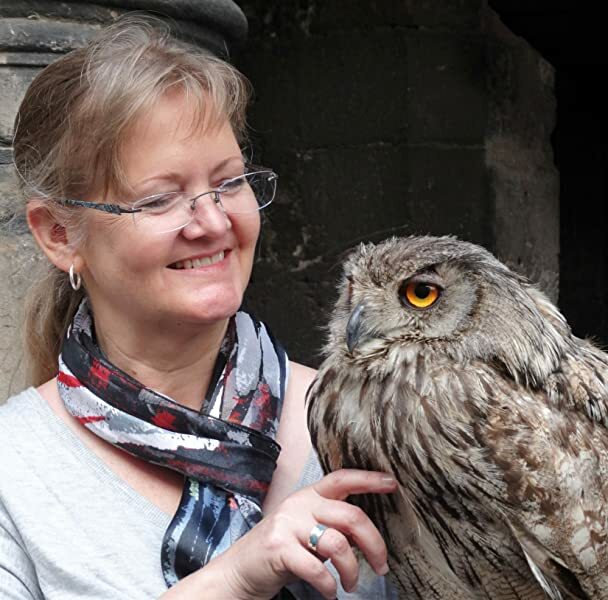 This follows their daughter Gilda and her Hero Ryan. It dragged a bit in the middle and lacked the depth of book 2. Gildas character and personality started out strong and she quickly falls in love with Ryan. a HEA ending. This is a Scottish tale of a young lady and a young man from two warring clans determined to be together no matter what the consequences.....and against all odds. There is danger, passionate love & romance, twists and suspense this book will give you but love conquers all. I enjoyed it and so will you. Clans at war and two people falling deeply in love make this book a joy to read. This story with all its ups and downs and wrenching heart ache brought tears too. People who love historical romances will enjoy this. 5.0 out of 5 starsFun and quick read! This is a great series, and I love the characters! Can't wait to read the next one!